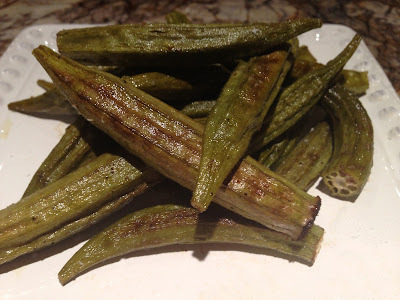 I can honestly say I have never ever in my life tried a Okra. I hear the love/hate about them, some love them some hate them with a passion. LOL Might have to give it a try just for shits and giggles. Thanks girl..Welcome back home. Okra may be the best food ever made.